An action defined as a crime is carried out because of any prejudgment mentioned above, then hate is considered as hate crime, not as a feeling. Consequently, the reason for the person to commit a hate crime is to cause a threat to the person and the group in which he or she is involved, by harming the pecuniary and morally damage to the group which he considers to be the other. The resourse for the 2018 hate crime research study based on transphobia and homophobia, was news published by LGBT+ NGOs. Since LGBTI + visibility in the mainstream media is very low and the news in general contains misinformation and improper language, we have analyzed the platforms where we can get more clear information. According to the data we collected, there were 54 cases of hate crimes in 2018, which were only reflected in the press. 14 of these cases are physical violence; 8 are violence by government agencies or law enforcement offiers; 4 of them are murder, 2 of them attempted crime; 6 are insults and verbal assault; 7 are discrimination on the basis of transphobia and homophobia; 6 are grab or damage to property; 3 of them are detention. Violence imposed by state institutions or law enforcement agencies includes news such as the fines that the guards cut off without a reason, threatening trans people in the streets, expelling trans people from cafes, and refusing gender affirming surgery of transgender prisoners in prison, and LGBTI + prisoners staying in prison under more severe conditions. Turkey is in the 1st rank in Europe, 9th rank in the World for trans hate crimes and does not conduct adequate and professional investigation in most of these murder cases. In the case files, the murders are not considered as hate crimes. Especially, the statement “I thought she was a woman, but came out as a man” is a way of defense that offenders often use to take advantage of good state and / or unjust provocation reductions. We see that the same defense was reflected in the press in 2018, when there were 4 murder cases and 2 attempted murders. The last case in which offender defended himself with this statement was the murder case of Azerbajani trans woman Kristina in Istanbul. Another noteworthy issue in the news headlines is: Watchmen. On 4 August 2017, system of watchmen came back and it cause topic of debate how it will affect the life in the street. 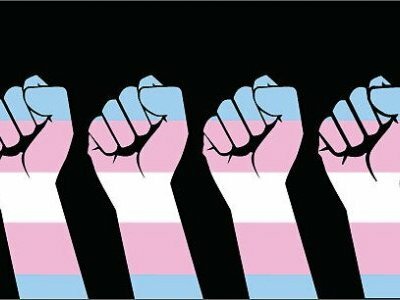 However, the news we have gathered in the past year clearly shows that watchmen were trying to restrict the trans visibility in the streets and even to destroy this visibility. Watchmen violence banning trans people to leave their homes in some neighborhoods, saying “You cannot walk around in this way” and fining them, is significant part of violence by state institutions or law enforcement officers. The news of suicide or attempted suicide that we did not include in the compilation data, but often encountered on literature review, reveals the size of hate crime in Turkey. The legal system that left the person alone in the crimes of transphobia or homophobia plays the most important role in the suicide, suicide attempts, suspicious death cases in 2018. Despite the Article 122 TCC, i.e., in the Turkish Criminal Code, which was amended in 2014 and foresees punishment on discrimination and hate crimes, we can see that the perpetrators of the 50 cases mentioned in our report (apart from the murder cases) have not been effectively punished. Although four years has passed since this amendment, the existence of that Article is not successful in stopping hate crimes. However, as Pink Life Assosiation, we will continue to raise awareness of hate crimes and hate speech in all spheres of life. When you are exposed to any hate crime or witnessed it, you can reach Pink Life Assosiation through the following channels and enhance solidarity.